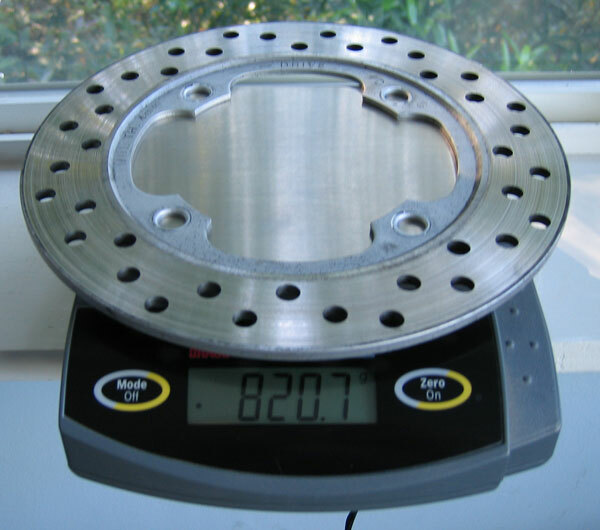 While I am away on a trip, I am sending my rear rotor to TCM Motorcycle Products to be put on a diet. The price for this service is about $ 85.00. This is pretty cheap considering the estimated 38% weight reduction. This should help lighten the rear wheel of the bike, reducing unsprung and rotating mass, therefore improving roadhandling. As much as I have argued against wave rotors, none of that applies to the rear end of the bike. 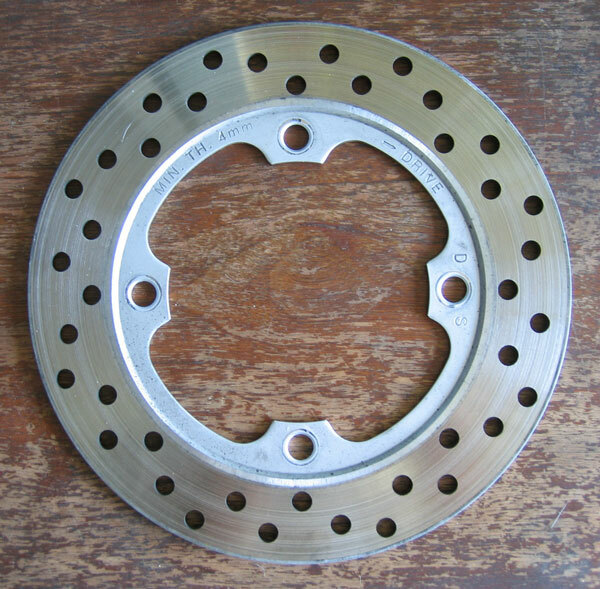 The rear brake of a performance motorcycle is rarely if ever used, therefore, can be made as light as possible at the expense of breaking performance. 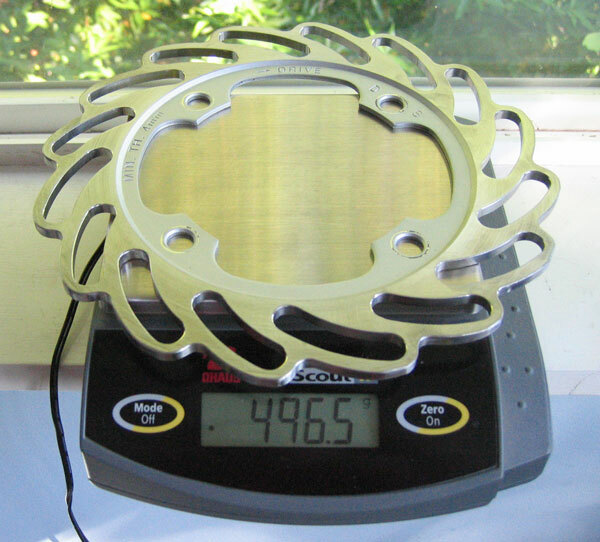 As you can see below, my stock rotor weighs in at 820.7g. Assuming that 38% of that is removed with the razorback option, it should weigh in at 508.8g. That is over 1/2 of a pound. A very good investment. 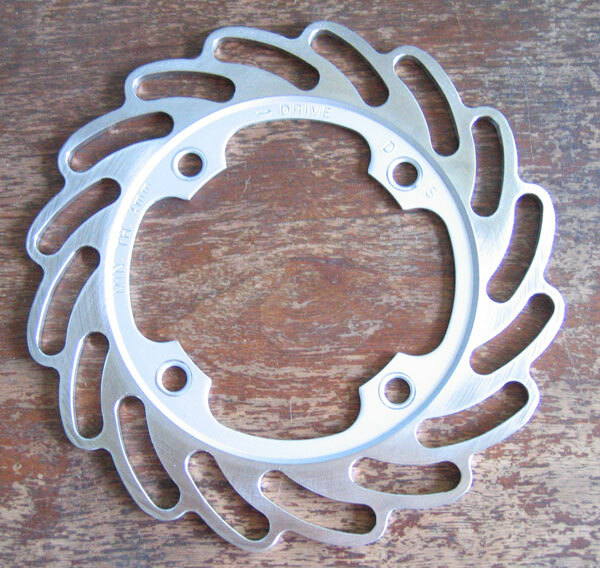 This is the original rotor shape. 496.5 grams. A 39.5% reduction in weight! Proof that some investments really can pay off.